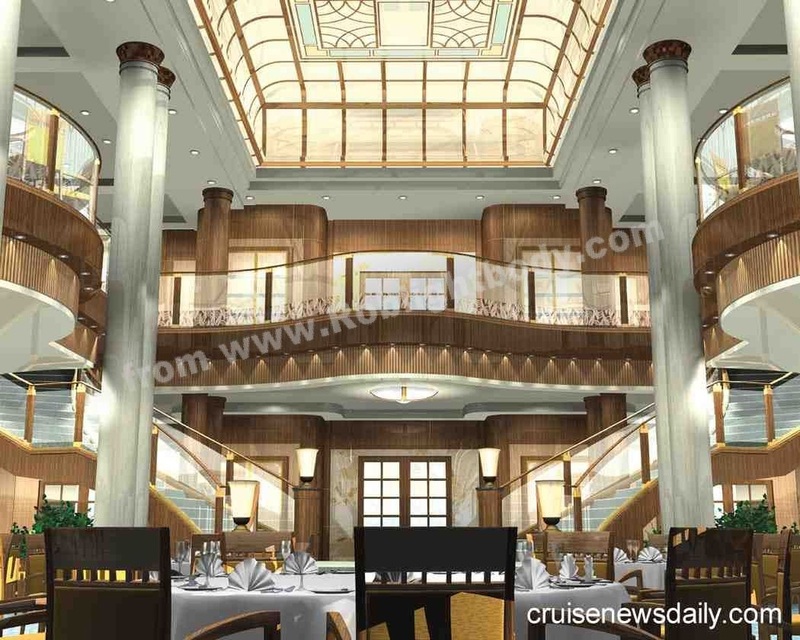 Queen Mary 2 will have three main restaurants. Passengers' assignments based on the category of stateroom they have booked. 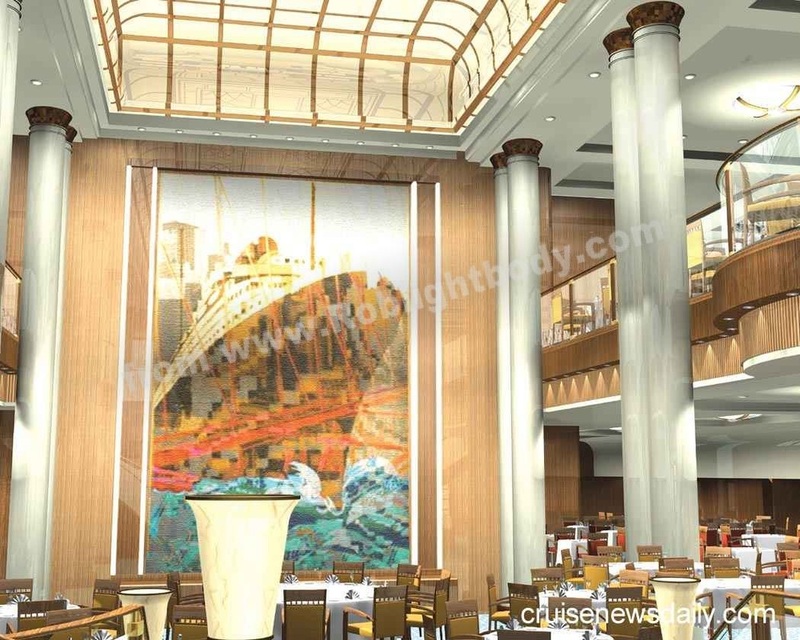 Most passengers will dine in the two-seating Britannia Restaurant. Passengers booking Junior Suites will dine in the Princess Grill, and passengers travelling in suites will dine in the Queens Grill. 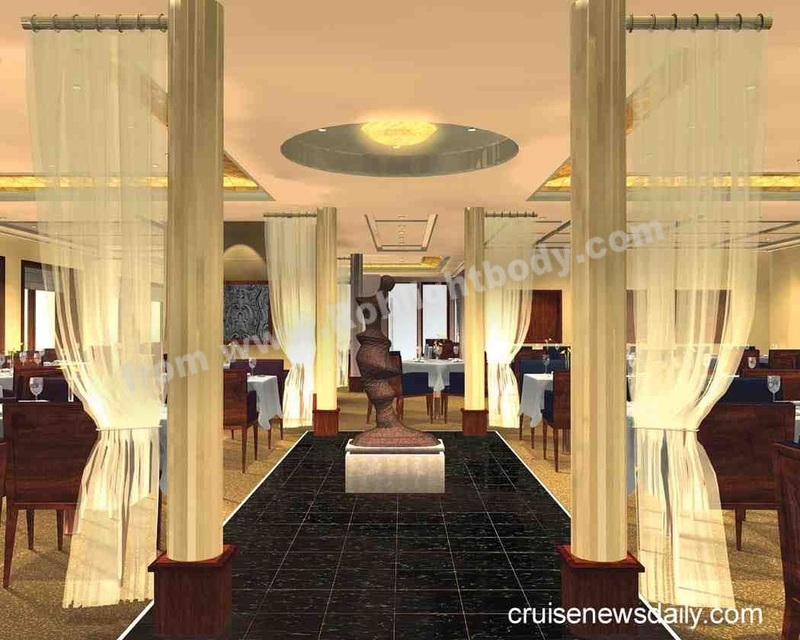 Cunard is going to great pains to incorporated luxurious furnishings and artwork throughout the vessel. Another of those intimate areas is the Winter Garden. Here passengers listen to a string quartet and enjoy traditional English tea (no teabags, please) complete with scones, clotted cream, fresh pastries and finger sandwiches all served by white-gloved waiters. 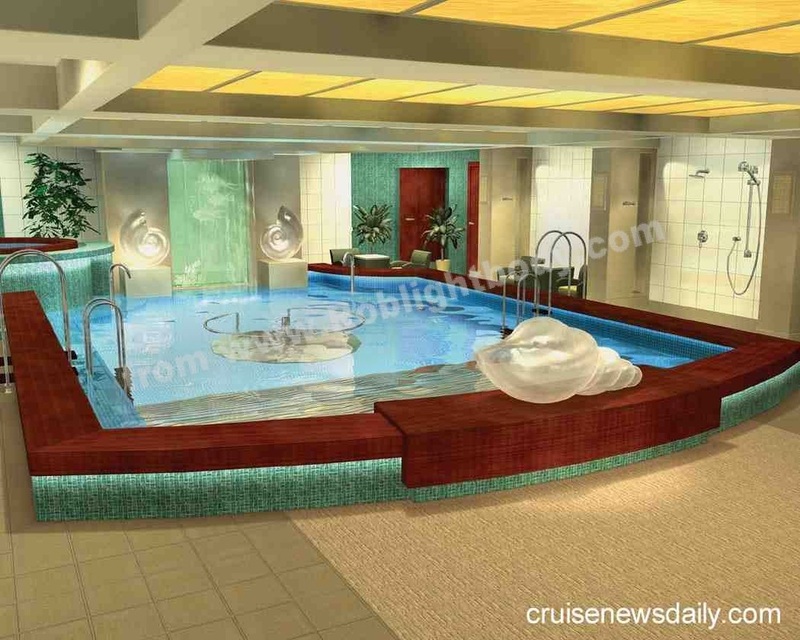 The feeling of luxury will be carried through the ship by having well-known luxury brands used throughout the ship. 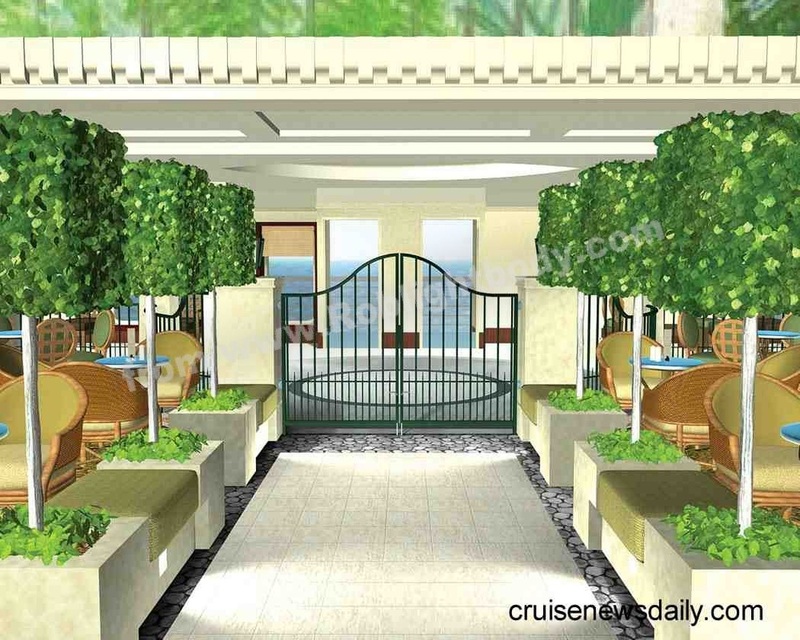 Canyon Ranch has been chosen to operate the spa aboard QM2. Passengers travelling in full suites and above will dine in the more intimate Queens Grill. They may also opt for meals prepared by the Queens Grill chefs to be served in their suites. Another of those names associated with luxury is renowned restaurateur Todd English (Olives). 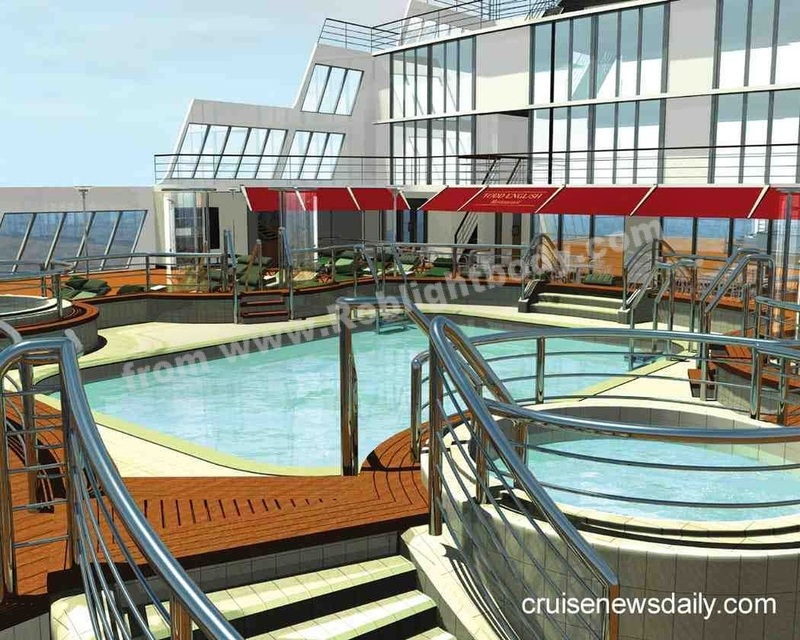 He will have an alternative restaurant aboard QM2, the outer facade of which is shown overlooking the aft pool. Reservations are required, but there is no surcharge for dining here. The menu, termed "rustic Mediterranean," can be served indoors or, weather permitting, at poolside. With the QM2 name being synonymous with luxury, Cunard knows that they are going to have many passengers who are looking for top accommodations. 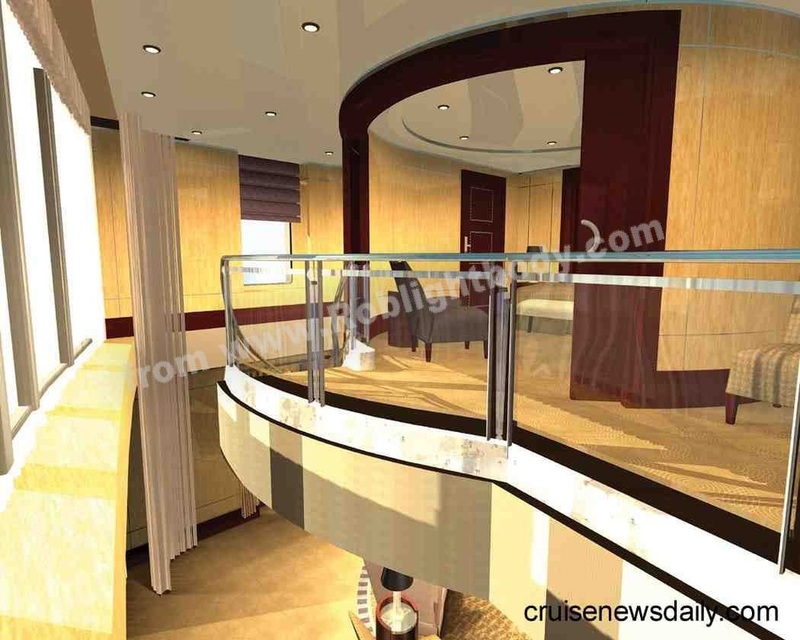 This is a rendering of QM2's most luxurious accommodations, one of the Grand Duplex suites, the two-level balconied Balmoral Suite with a two-story glass wall overlooking the stern of the ship. Even though QM2 will carry more than 2,600 passengers, Cunard wants to keep a feeling of luxury and personalization. 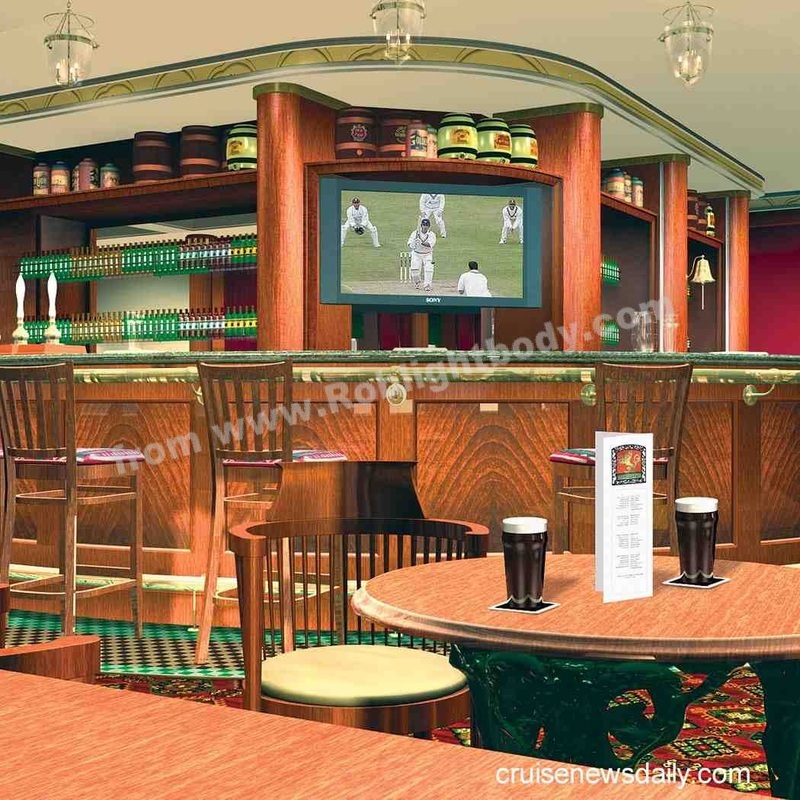 One way they intend to do that is by creating a number of very intimate areas aboard the ship. T he Golden Lion is a recreation of an English pub.